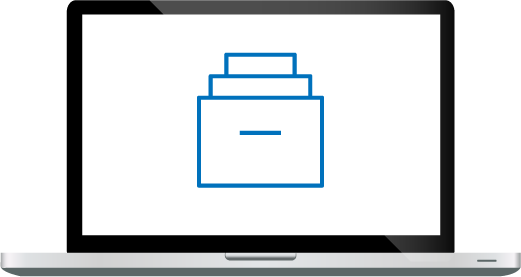 New York, N.Y., April 19th 2016–Archive360, the leading provider of email archive migration software, today announced Archive2Anywhere 2016, the newest release of its flagship product. Archive2Anywhere is the only solution in the market purpose-built to deliver consistently fast, trouble-free, predictable archive migrations, with verifiable data fidelity and defensible chain of custody reporting. Dubbed “The Partner Release”, the new offering features a ground-breaking source and target agnostic framework engine which massively reduces development and integration timelines. Archive2Anywhere 2016 became generally available on April 1, 2016. Over the past six months, Archive360 has become the industry standard for email migration. The number of technology companies and systems integrators looking to leverage our migration platform as part of a broader process for migration to the cloud has increased exponentially. The Partner Release has been architected to facilitate rapid partner solution integration, to allow archive migration to be integrated directly into a larger email migration and to dramatically reduce development cycles for new connectors, in response to partner needs. Archive2Anywhere 2016 arrives as industry analysts predict that the majority of business users will be using cloud-based email and office productivity systems within the next five years. While migration of live email has become increasingly commoditized, migration of archived email continues to be a potential showstopper for many organizations. Lack of visibility into the type of data stored in the archive (mail, stubs and shortcuts, PSTs, journals), inability to correctly process each data type, sluggish processing speeds, and reliance on manual processes have disrupted many migration projects. Archive2Anywhere is licensed on a per terabyte basis, with scalable pricing reflecting project size. Archive360 will offer the new solution to new and existing customers through its global network of partners. The new release became generally available on April 1, 2016. Archive360 is the market leader in email archive migration software, successfully migrating more than 10 petabytes of data for more than 450 organizations worldwide since 2012. 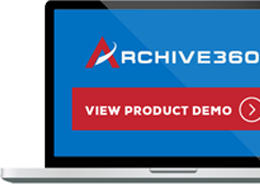 The company’s flagship product, Archive2Anywhere™, is the only solution in the market purpose-built to deliver consistently fast, trouble-free, predictable archive migrations, with verifiable data fidelity and defensible chain of custody reporting. A global organization, Archive360 delivers its solutions through a network of specialist partners. Copyright © 2016 Archive360, Inc. “Archive360” and “Archive2Anywhere” and are trademarks or registered trademarks of Archive360, Inc. The list of trademarks is not exhaustive of other trademarks. All registered trademarks, logos, product names, company names, brands and service names mentioned herein are property of Archive360, Inc., or other respective owners. All rights reserved.